Oregon Department of Fish and Wildlife and Bend Police traced a cougar into the Deschutes River Woods area Saturday morning and dispatched it. 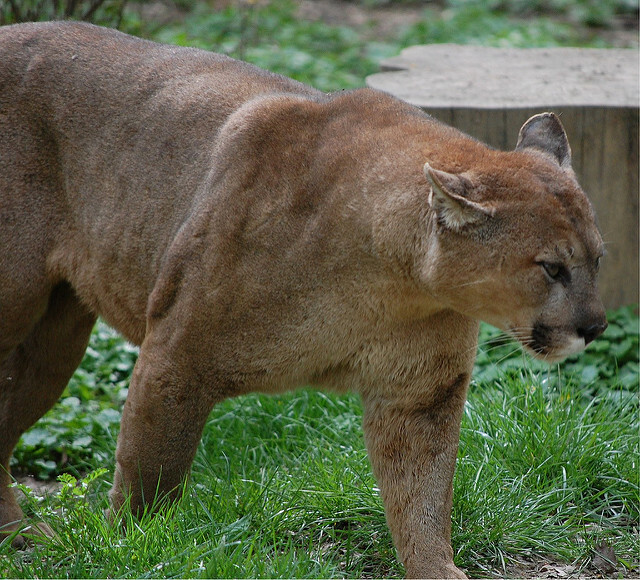 The cougar was a male weighing 135 pounds and based on its paw size, which matched tracks previously found around residences and the territorial nature of male cougars, officials are confident it is the cougar deemed a human safety hazard. Police had received repeated sightings near human residences. • Pick up children, but do so without bending down or turning your back on the cougar.